Believing that Artemis is being tortured, Diana ventures in to Hell to rescue her only to find that Artemis is very much alive and well. Unable to leave Artemis behind and unwilling to turn a blind eye to the suffering of even the coldest demon, Diana finds herself in trouble when she intervenes in one demons torture. 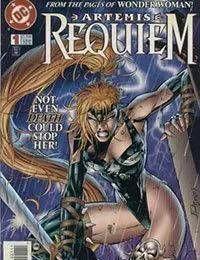 Will Artemis sacrifice all that shes gained to save Diana and reclaim her old life?